Not yet Thanksgiving and we’re already seeing holiday movies hitting theaters. This year, Hollywood returns to the master of Christmas - Charles Dickens. 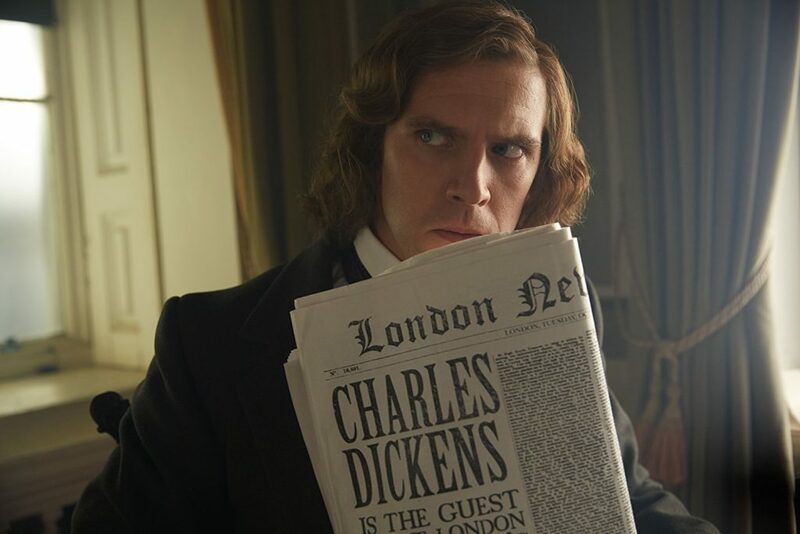 The new film, The Man Who Invented Christmas, is an adaption of the non-fiction biography by Les Standiford on Dickens and how “A Christmas Carol” created the modern day traditions of Christmas. Tackling the fact-based book, Dickens’ life and original text is screenwriter Susan Coyne. Canadian playwright and television writer (Slings and Arrows, Mozart in the Jungle), the first-time screenwriter creates a heartwarming (family-friendly) historical drama which likely will get viewers in the holiday spirit. Lesley Coffin: I was a big fan of Slings and Arrows, so I wasn’t surprised to see the references to theater in the film. But what was it about the source material and Dickens that made it feel like the best fit for the story? Susan Coyne: It’s so hard to visually depict the inner struggle of a writer. Seeing that would get pretty boring. And I know it can be boring to hear writers talk about their struggles. That was the challenge I faced with this. But I found it fascinating that Dickens was a failed actor. He was about to audition, had a cold that day, and became a writer. So that was a big part of it. Because he loved the theater and it’s clear that his imagination was rooted in theater. He thought that way, the characters are so vivid. Lesley Coffin: And his books are very dialogue heavy. Susan Coyne: Exactly, and the details he gives his characters make them leap off the page and feel lived in. Scrooge and Mr. Micawber are these beautiful, lively characters. But I also found this detail about him that his daughter, when she’d be lying on the couch while he’d be working, she recalled him getting up to act out a scene. He’d look in the mirror and act out the characters. So that’s clear that he really had a theatrical imagination. And I don’t know if this is true with every writer, but the characters were so real to him. He could see them, he’d talk to them, said he could feel them when he wasn’t working. There’s a quote that he could feel Tiny Tim plucking at his sleeves, calling him to finish the story. So taking the approach felt right for the character of Dickens. Lesley Coffin: You were also an actress I read, before you were a writer. Did you feel a kinship with Dickens and the link between actor and writer? Susan Coyne: I certainly did. We included it in the film, but he walks constantly, saying the dialogue to himself. I think he might have had ADHD. But he had this phenomenal energy that made it necessary for him to move around in order to get his work done. And I’m sympathetic to that struggle as a writer, I find it hard to just sit and write, I often need to take a walk or be in park. Lesley Coffin: Was this property that came to you and ready to go into production, or did you find the book and look for a producer or studio to make the film? Susan Coyne: Our producer, Robert Mickelson, found the book through his wife, who has a partnership with a man who sells books. And they came across this book and brought it to me, asking if I could write a film. It’s a nonfiction book so I said I’d give it a try. It felt like a puzzle I wanted to try to solve. Lesley Coffin: What elements or events in the book stood out as cinematic? Something which could be dramatized and propel a narrative? 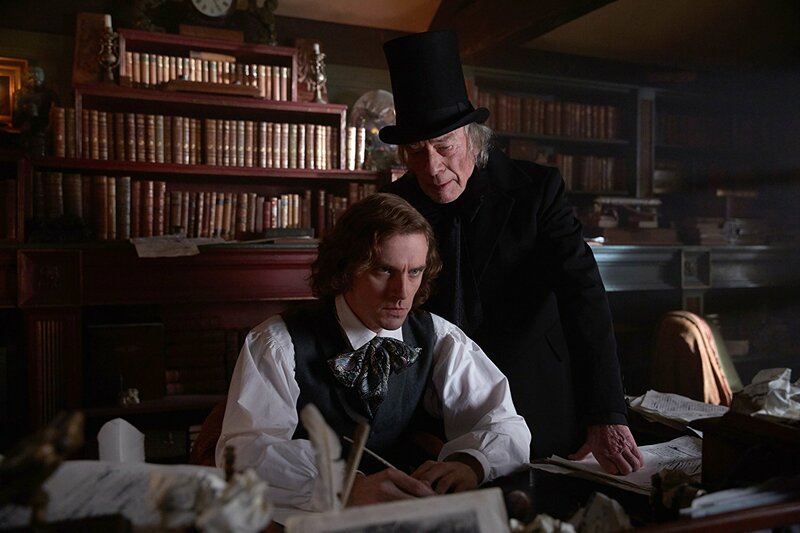 Susan Coyne: The idea of Scrooge coming to life for Dickens was such an interesting element. Not only that for a writer a character could come to life, but that they’d talk back and he couldn’t get his characters to do what he wanted. And I really enjoyed the theatrical element, the idea that these characters were like actors at a rehearsal, waiting for the writer to finish so they could put on the show. I have lots of experience of sitting in a rehearsal and thinking, ‘This isn’t going well, we are not on board with this.’ It was so funny. Lesley Coffin: I didn’t realize that what we consider modern Christmas, the secular and community focused aspects, comes from this time period. Were you aware of that piece of history? Susan Coyne: Not at all. I didn’t know what the writer is meant by modern Christmas. I thought Dickens might have invented some of the decorations we consider part of it. But really he created this idea of “the true meaning of Christmas.” That didn’t mean anything before A Christmas Carol. It was one of many religious holidays. The folk traditions we think of now were celebrated in the countryside, not the cities. It’s hard to think of now, but that idea that this should be a time we stop and take stock of our lives, and think about what we’re doing for the rest of the world, comes largely from Dickens. Lesley Coffin: I want to get off the subject for just a moment, but do you know if the idea of Boxing Day originated after “A Christmas Carol’s” release? Susan Coyne: It was a country tradition, a day when the squires would take their extra gifts and things they didn’t need around their house, and give them to the poor that lived on their property. But it didn’t exist in the cities of London until after “A Christmas Carol.” And even now, Boxing Day means different things in different places. We have it in Canada, but it’s also a big shopping day. Lesley Coffin: We don’t really have it in the US, but it seems like such a beautiful tradition. Susan Coyne: It is. I have to say, when people talk about this as a Christmas movie I’m taken aback because personally, I kind of hate Christmas. I like the wonderful things about it, but I hate the excess, I hate that people without family can feel extra lonely. There are a lot of terrible things about Christmas. I think getting presents is lovely, but I love Charles’s idea of what Christmas should be. Don’t just take and give, but stop for a moment and take stock of what you’re doing in your life. Be grateful. Ask what I can do for other people. Even one day a year, what can I do for others? It’s a beautiful idea that everyone do that one day a year. Lesley Coffin: Of course this is a Christmas movie, and anytime we tell stories about the meaning of Christmas, we have to ask what how it reflects on the times. What makes this the right story for right now? Susan Coyne: We’re living in such an awkward, mean-spirited time, you can’t help but think of the similarities going on in Dickens time which motivated him. You can’t help but think of the massive gap between the very wealthy and the very poor. The struggles faced by immigrants like the Irish, that’s why the Dickens had an Irish maid. Undocumented workers were extremely vulnerable if they were forced onto the streets. Victorian London could be a pretty miserable place, and the lack of compassion the rich had for the poor drove him crazy. He wanted a way to make those people pay attention, and did it with this book. It’s rare to say this, but he was a popular moralist. He was a funny, entertaining writer, but also had a really strong social message. And that’s a skill and talent that’s so important. And he could do that without being preachy. That’s what made him a genius. 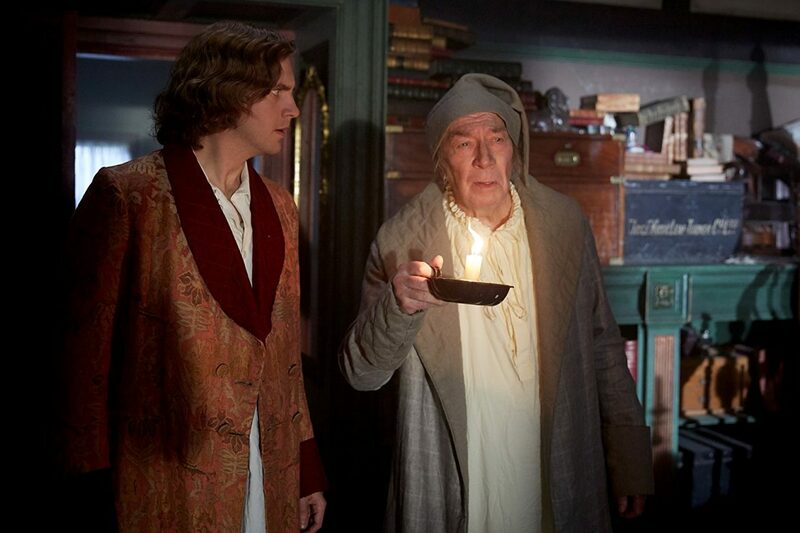 Lesley Coffin: Probably because of the era we’re talking about and the iconic characters like Scrooge, you would assume an older writer wrote” A Christmas Carol.” But the version we have in this film is of a very youthful, energetic Charles. And Dan Stevens is so good at playing him with a modern flare and is very funny. Did you write him specifically as the younger version? Susan Coyne: It was one of the most appealing aspects. I had the same image of him as this sort of grand, wise old man. But when you see the picture of him in his 30s, he’s baby-faced, like Dan. And he’s described as very attractive and as a dandy who loved good clothes. He was described as someone who dressed like a rock star in velvet and silk, he was the first literary rock star. And he wrote this at 31, while having a midlife crisis, how modern. And I thought would be an interesting element to explore we don’t think about when we think about the man who wrote these novels. Lesley Coffin: While doing the research, did you have an opportunity to re-read his books and incorporate some of his work into the screenplay? Susan Coyne: I stole a lot of dialogue from him. It’s so good, and I wanted the dialogue to feel authentic and of the times. There’s one of his most famous lines “No one is useless in this world who lightens the burdens of another.” That is too good a line not to include. He could wear his heart on his sleeve, that’s a line he could sell.